My husband and I live here in East Tennessee and love the Smoky Mountain area and all it has to offer. We hope you enjoy it as much as we do! We love our cabin for the cozy atmosphere, and beautiful views from our decks. It's wonderful to be just a few minutes from all the attractions, shopping, and restaurants in the area, but also be nestled on Bluff Mountain! We looked at many different cabins before purchasing 'Cabin of Dreams' but found none with a view of the mountains that equals ours. You can sit on the deck and rock, relax and enjoy the views and peace and quiet or take advantage of the area attractions within minutes! Loft bathroom has shower, main bath has tub/shower combination. 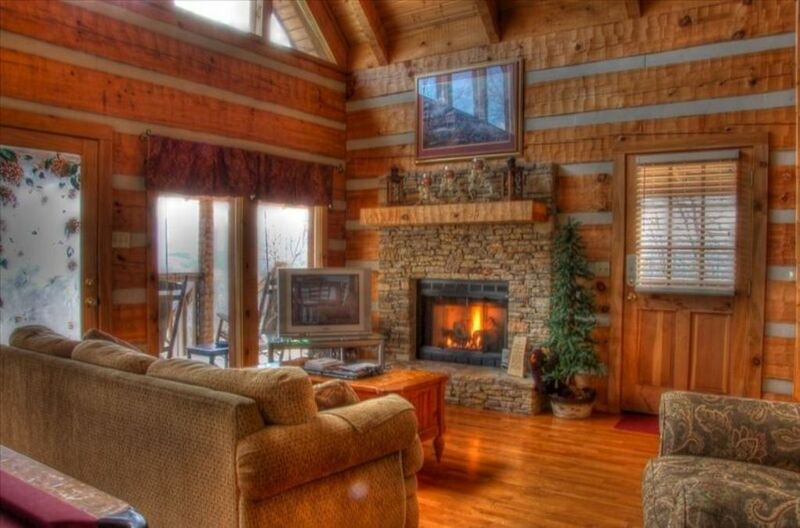 Feel relaxed and away from it all on the mountain but only minutes from downtown Pigeon Forge and attractions like Dollywood, the Gatlinburg Aquarium, Cades Cove, Tanger Outlet Mall and Ober Gatlinburg.